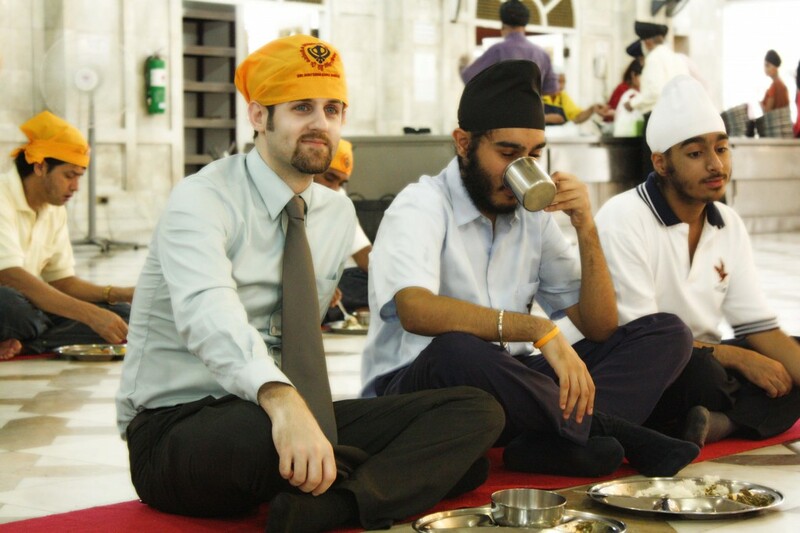 My trip to the Sikh temple, or “Gurdwara” (as it is called in Punjabi), on the 31st of August was different than any other time that I have been to that holy and sacred place. 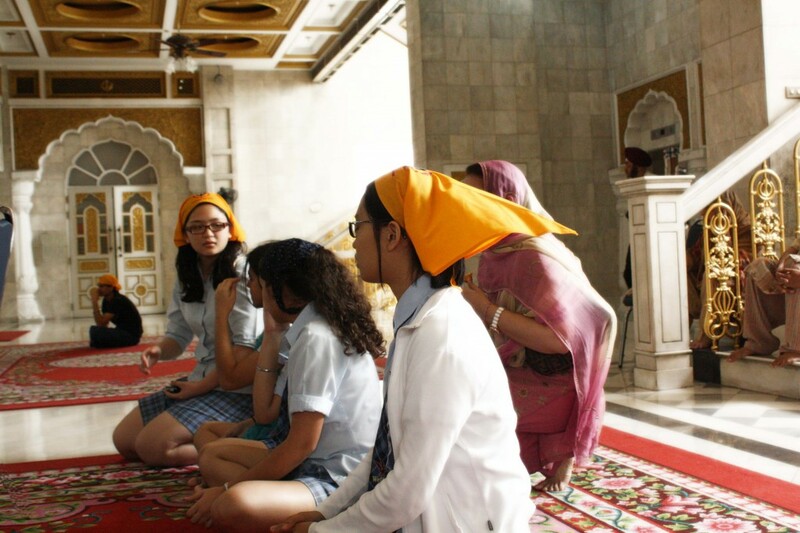 The reason that made my trip unique was that my World Religions class accompanied me – making Alina, Nivan and me guides to this magnificent temple, opening our classmates’ and teacher’s minds to the beliefs of Sikhism. 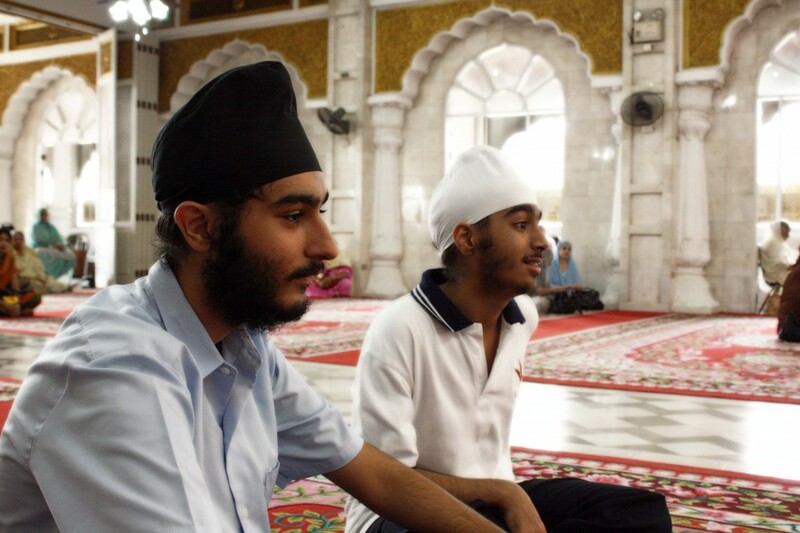 Nick and Visant listen to the reading of the Guru Granth Sahib. 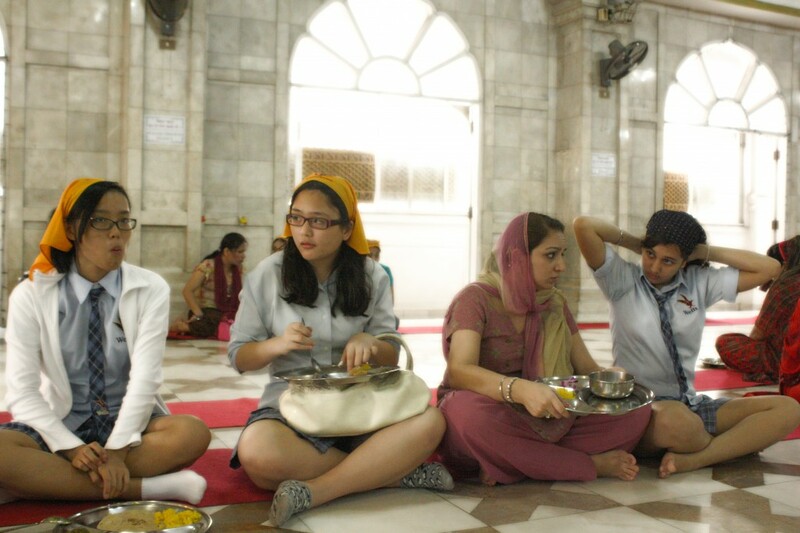 On the fourth floor, where our tour began, is a place for praying, meditating and listening to “Shabad” or “Kirtan” (songs with religious meaning), and everyone gives money to the temple by putting money on the shrine where the Guru Granth Sahib (the Sikh holy book) rests. We then moved up to the sixth floor and into a room where a part of the original Guru Granth Sahib is kept and stayed for a while as we explained the room’s significance. We continued on to the room in which all the copies of the holy book are kept, available for anyone who would like to take a copy home for personal use. Alina and Nivan explain the significance of the room to their classmates. 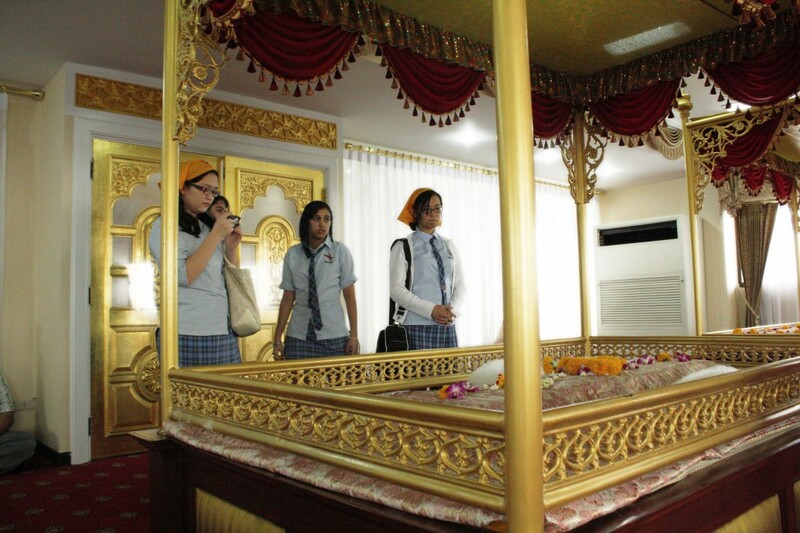 Moving down to the fifth floor, we inspected the classrooms where lessons are held, teaching us about our religion and the morals and ethics involved in being Sikh. Our tour ended with a meal in Langar Hall, which is a cafeteria where anyone can eat, as free vegetarian meals are offered to all who enter each day. Ms. Gona and the World Religions class enjoy a vegetarian meal. 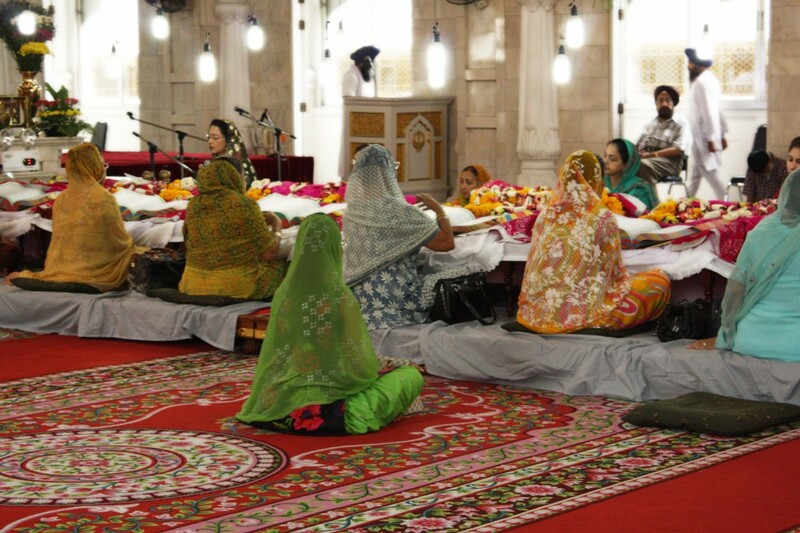 Worshipers listen to the reading of the Guru Granth Sahib. Kelly asks a question of her Sikh classmates. 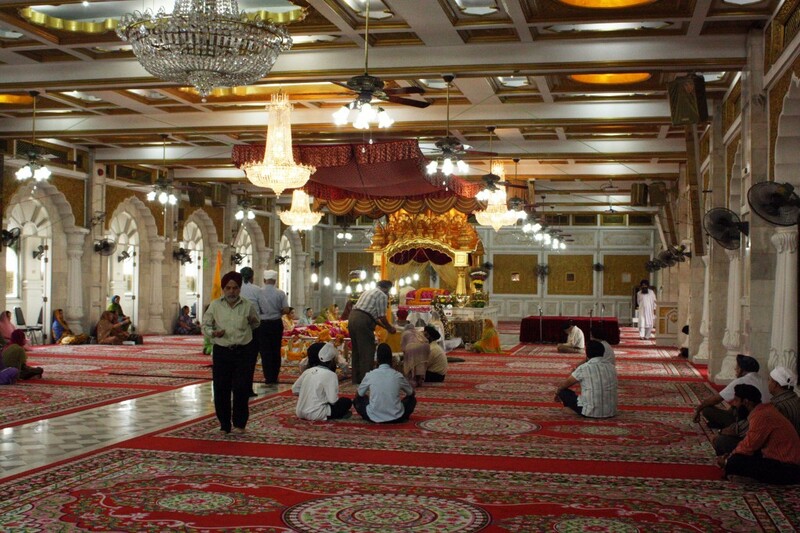 The Guru Granth Sahib is read for four continuous days. Mr. Jared, Nick and Visant relax after the meal and conversation. 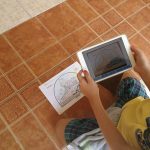 I’m in Australia to study English for three months. Hello Maho! It’s wonderful to hear from you again. I’m doing very well, and I’m still obviously enjoying teaching here at Wells, though I now have administrative duties as well. I’m actually a bit jealous that you’ll be studying in Australia; I still haven’t gotten a chance to go there. 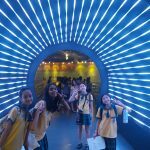 Keep me posted on how you like it, and be sure to stop into Wells if you pass through Bangkok; we’d love to see you again!